Pinball machines are enjoying a bit of resurgence in popularity. In recent years, the arcade favorite is popping up in various exhibits around the world and pinball tournaments are being held in different countries. Often referred to as bang back, this skill involves applying a sharp nudge on the machine once the ball is drained so it will resurrect back into play. Keeping the flipper up on the side corresponding to the outlane and a kick on the right side of the machine may also help add more force to the nudge. Warning: Death save is not allowed in pinball tournaments. It is also considered illegal due to the potential damage it may cause the machine. This skill allows you to contain and control the ball when it quickly moves toward the center of a flipper. To do this, raise the flipper early and drop it prior to its contact with the ball. If timed correctly, the ball will lose momentum allowing you to have more accuracy. You can raise your flipper again to either trap the ball or shoot it immediately. This technique requires proper timing. In order to do this, hit the ball at the moment the flipper reaches its full extension point. When done right, it will stop the ball dead right on the flipper where you can trap it. When the ball is heading down into an undesired inlane, hold up the undesired flipper to allow the ball to bounce over the desired one. Dropping the appropriate flipper as the ball is about halfway across the upheld flipper is the key to keep the ball rolling across the gap to the opposite flipper. When the ball is fast losing momentum through the inlane, nudge the ball either left or right to slow it down. This back and forth movement creates friction that reduces the ball’s velocity. A direct opposite of the drop catch, this skill requires a great deal of practice and hand-eye coordination. Here, the player can control the ball by raising the flippers and catching the ball as it reaches the end of the flipper shot. You can always nudge a pinball machine to keep the ball into play. However, it is best to shake the machine once the ball is in the side lane area, where there is usually one inlane and outlane. Performing a side-to-side and forward nudging will likely keep the ball from draining. This technique can be very tricky. It only requires a light tap on the flipper to send the ball only as far as from one flipper to another. Did you find this article informative? 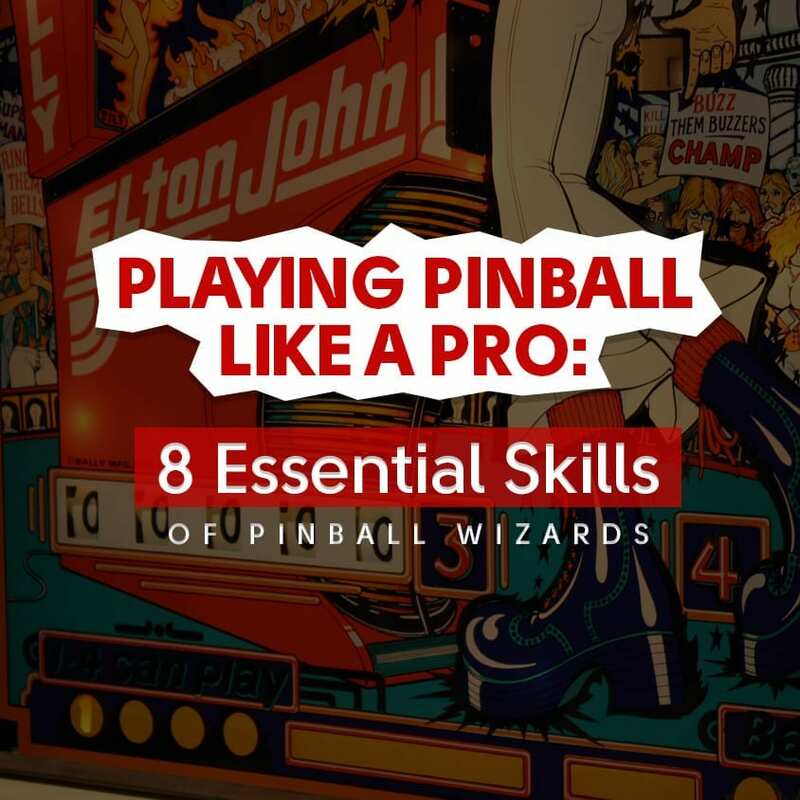 Follow our blog for more interesting pinball news.